MACBA (Museum of Contemporary Art of Barcelona) is located in El Raval district, a historical neighborhood in Barcelona. 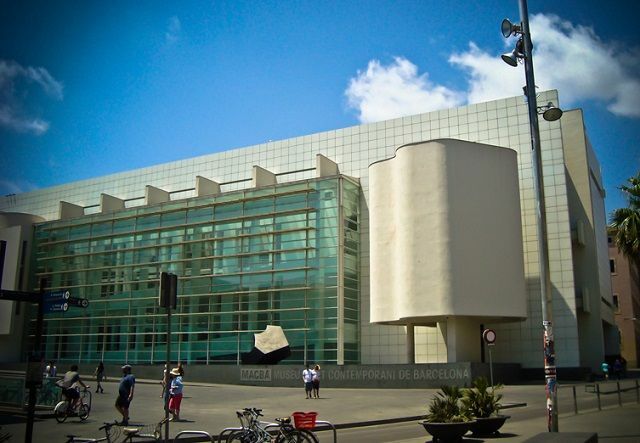 Nowadays, it’s one of the finest art museums in Barcelona. Its permanent collection displays only 20th century works and onwards, in harmony with the museum’s mission of transmitting contemporary art through a series of exhibitions and audiovisual activities. 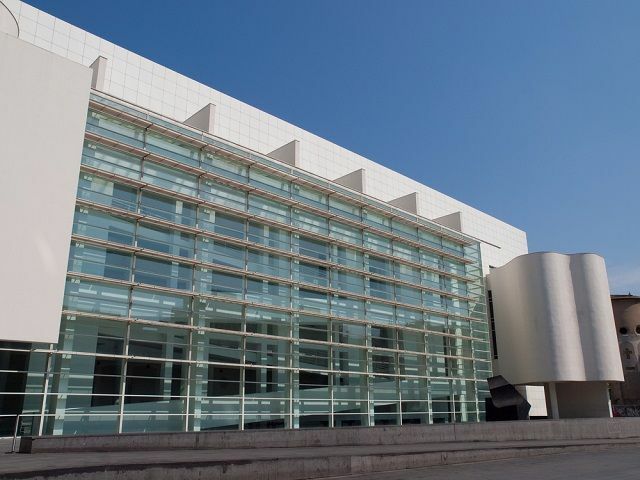 American arquitect Richard Meier was invited to design the MACBA building in 1986, when the MACBA foundation was created. Concerning the design, Meier continued his trademark of pristine white structures, making a big contrast against the old buildings surrounding the square, whose renovation was also part of the project. In a short amount of time, it has become a symbol of the neighborhood. Nowadays, it’s a popular meeting spot and one of the best places for skating in Barcelona. Its collection features works from the second half of the 20th century. It focuses mostly on abstract art, as well as european avant garde and pop art. In recent years, it has incorporated works from latin american, arab and eastern european artists. 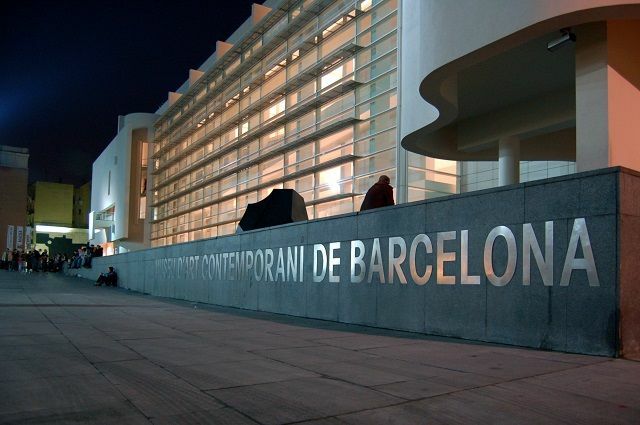 The proximity of MACBA with the CCCB (Barcelona Contemporary Culture Center), has made the area the most culturally enriched of the Raval. Fortunately, if you want to save money, you might be interested in getting the Barcelona Card, that offers free access to the museum. On the other hand, the Art Ticket is a museum pass that gives you free entrance to MACBA. On top of that, five other museums are included for a 30€ price, like Picasso Museum and Joan Miró Foundation.